ONE OF THE LESSER-KNOWN MYSTERIES OF SCIENCE is Coccinella psychoanalytica, order Coleoptera, family Coccinellidae, commonly called the Rorschach ladybug. This attractive beetle seems to have appeared out of nowhere on the evolutionary tree of life. At first considered an isolated mutation, C. psychoanalytica has recently been designated a distinct species, amid much scholarly speculation about which natural selectors caused such rapid adaptive radiation, and creating intense disputes among evolutionary biologists between proponents of punctuated equilibrium, quantum evolution, saltationism, and pre-Lyellian catastrophism. Why would such a common insect be absent from the entomological literature until recently? It is impossible that no one had noticed it before now since it is actually quite common in it’s range–all of temperate North America east of the Mississippi River. First described in the early 1970s by entomology graduate student Stanley Wojciechowski at Yale University from specimens collected on the lawn outside the Peabody Museum, C. psychoanalytica soon became the single-minded focus of his research. Working day and night, he collected and cataloged over 145,000 specimens. Each one had to be carefully scrutinized, because the pattern on the elytra of each individual beetle is different. After months of work alone in his lab, Wojciechowski began to notice effects in his personal life that, at first, he attributed to simple overwork. As he explained later, after staring at those beetles all day, he began to recall his dreams in great detail. He also spent hours of waking time ruminating on his life, starting from his earliest memories, staring into space, unaware of his surroundings. He began to be plagued by doubts, even about his research, calling into question everything he knew. Ultimately, a colleague found him in the insect collection having what was described as “some kind of break with reality.” “No one really knew him very well. He was a polite, quiet guy, usually kept to himself back then, sleeping a lot during the day,” he reported. After his release from the hospital, Wojciechowski never returned to academic research. “I realized that it would be impossible to prove whether the material world has any objective existence in itself, or if it is simply a reflection of consciousness, like a dream, a rainbow, or an infinitely detailed mirage.” he said in an interview years later. “You can see what I mean if you just watch the original Star Trek, episodes 11 and 12,” he added. He started to date, hang around at bars, make friends, and got invited to parties. He even learned how to dance. After his return from India, Stanley took a job as a gardener, let his hair and beard grow, and became quite popular as a yoga teacher. You could say he accumulated a small following, but he paid no attention to his rising fame. People from all over the country sought him out for advice and answers to questions about life. He never said anything, but he listened to everyone who came to him. His payment was always simple, some flowers, some food, or a painting. 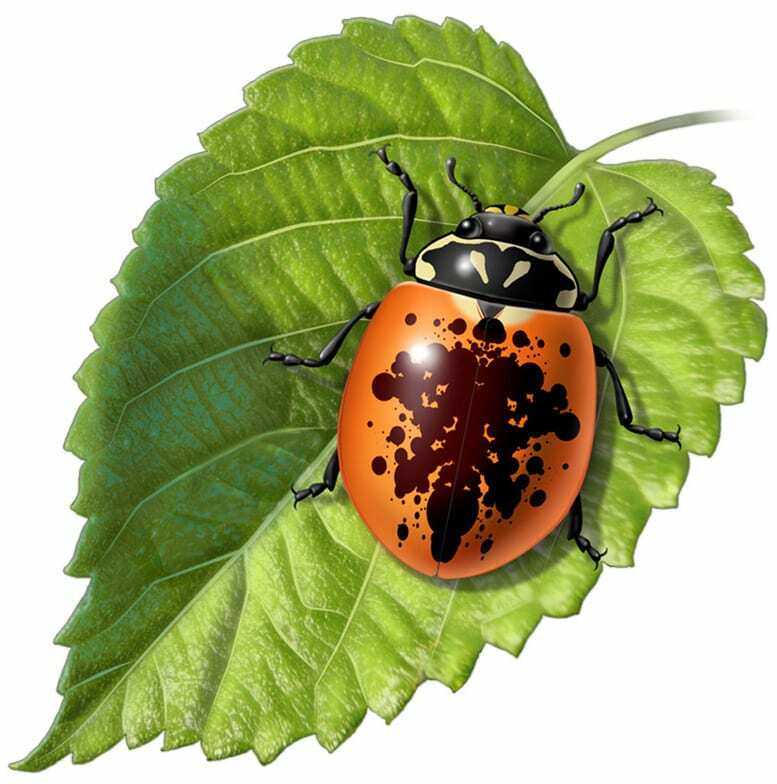 The existence of the Rorschach ladybug has never been confirmed by other scientists. Stanley had not taken any photographs of it. Stanley Wojciechowski is now the well-known author of 43 self-help books, among them the international best-seller, co-authored with the Dalai Lama, “Make Me One With Everything”. And if you believe in the Rorschach ladybug, well, then it exists for you too.